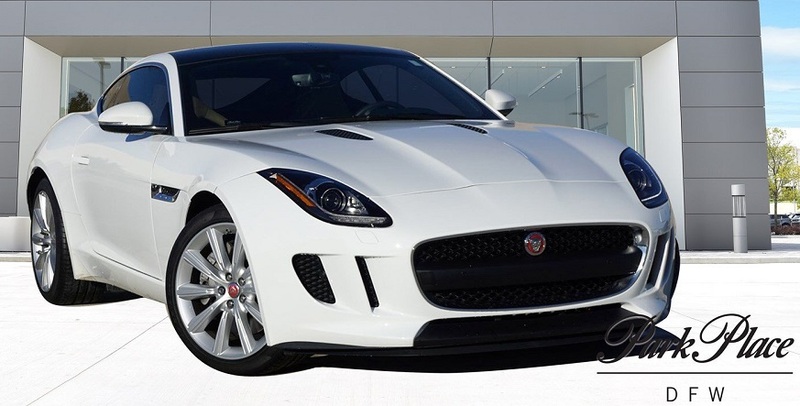 How many F-Type owners do we have on Jag-lovers? Some might say that I like blue. Both are actually blue, though they look a bit purple in this shot. It’s a ‘base’ V-6, but with all the bells & whistles. It’s absolutely pristine, with under 11,000 miles on it, and I consider that I got it at a very good price. Unfortunately, though, the Nav system hasn’t worked since I got it, and it’s been in the shop for the last two+ weeks with no success so far! Other than that, I sure love the car! Beautiful car, congratulations! And welcome to the F-Type forum! Enjoy it to the max! At least you can drive yours now. 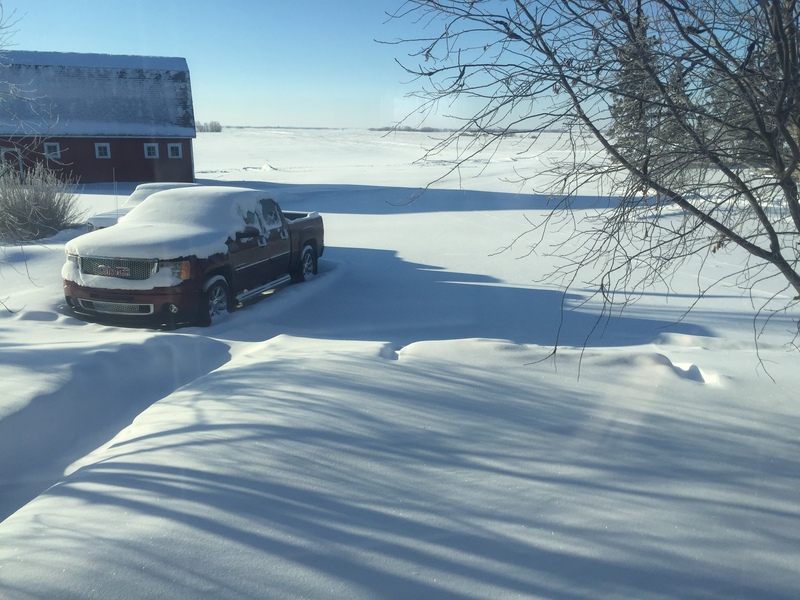 Lot’s of snow here for a couple more months. And currently-30°C. This is my F-type, 2015 S, Sapphire with Cirrus interior, extended leather. 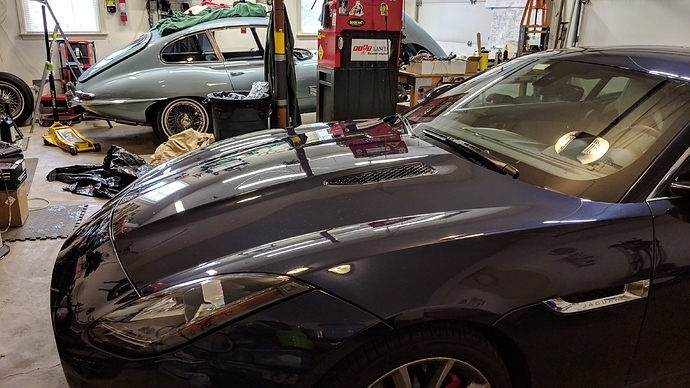 Then I did my first oil change and took a picture with my eType in the background, a 1968 2+2, Opalescent Silver Blue with Dark Blue interior…This year at Hope Lodge will be fun! 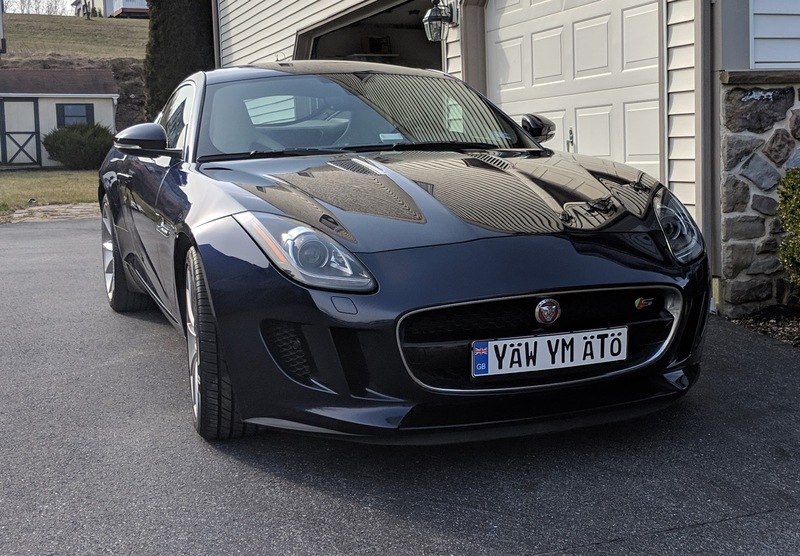 Gorgeous car(s), welcome to the F-Type forum! Good looking motor. Mine is the same exterior color. A blast to drive.